This dress is done in pink and black. It has black pom-pom trim on the jacket and around the hem. 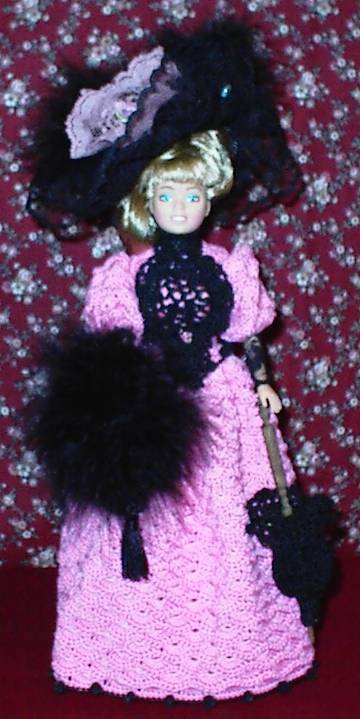 Comes with dress, jacket, parasol, muff, hat, doll, and doll stand.